The CGG was founded in 2004 as a research center at the Hamburg University Faculty of Social Sciences. The aim was to further develop the Faculty’s research on the basis of criteria of excellence, and to make it more visible internationally. The CGG celebrated its 10th anniversary in 2014. 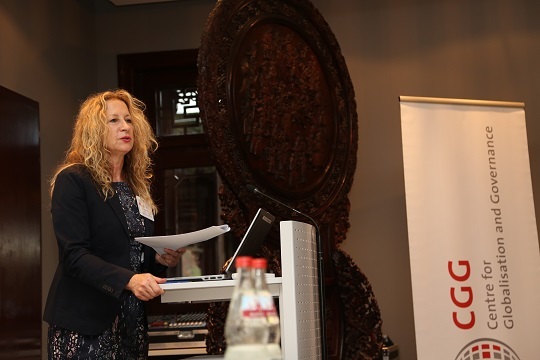 On this occasion the CGG held an international conference on “Responses to Crises” to which researchers in sociology, political science and economics from Europe, the US, and Asia were invited to speak on November 14th and 15th, 2014. The theme of the conference was the multiple crises which contemporary societies must confront as well as the ways societies react to them. One of the overarching issues was the conditions for the sustainability of the chosen approaches to crisis management. Key themes were the major crisis theaters of our society such as financial markets, welfare states, climate change, demographic change, and the new social movements of political democratization. 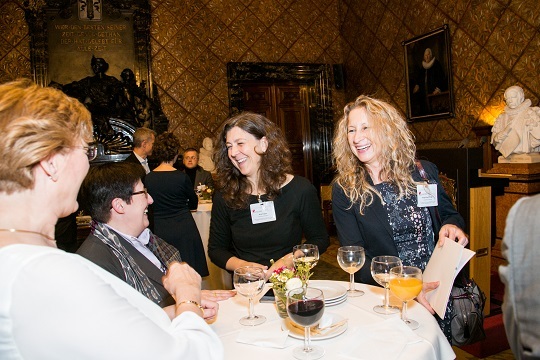 On the occasion of the CGG’s 10th anniversary, Hamburg’s Minister for Science and Research, Dr. Dorothee Stapelfeldt, invited the speakers and participants in the conference as well as other special guests to a festive reception on the evening of November 14th at Hamburg City Hall. On this occasion the Minister, the Vice President of Universität Hamburg, Prof. Dr. Claudia S. Leopold, and the Executive Research Director of CGG, Prof. Dr. Birgit Pfau-Effinger, greeted the guests with a brief welcoming speech. 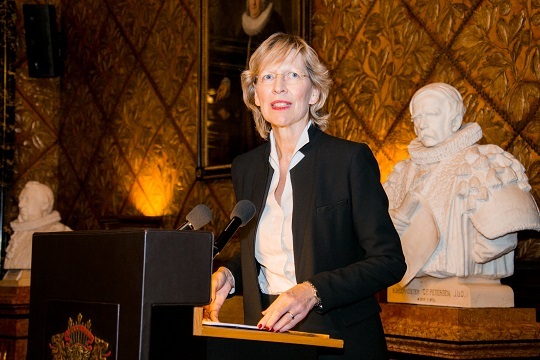 Dr. Dorothee Stapelfeldt, Hamburg’s Minister for Science and Research in 2014. Prof. Dr. Gabriele Löschper, Dean of the Faculty of Economics and Social Sciences. 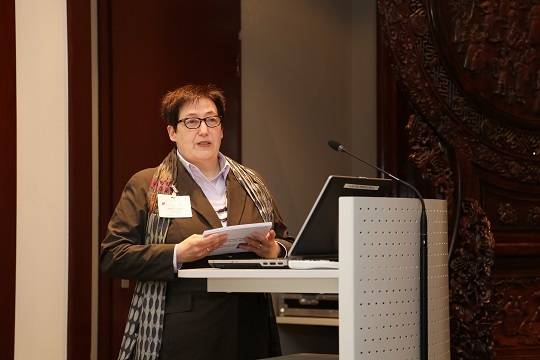 Prof. Dr. Birgit Pfau-Effinger, executive director of the CGG. (l. to r.) Prof. Dr. Claudia S. Leopold, Prof. Dr. Gabriele Löschper, Prof. Dr. Anita Engels, Prof. Dr. Birgit Pfau-Effinger.